A few basic rules determine the success of a weight loss programme. First of all, it is important to remember that it is not possible to achieve permanent physiological changes without permanently altering one’s lifestyle. Although many commercials lure people with promises of unbelievable weight loss without any effort, losing weight safely and permanently is only possible by creating an energy imbalance. Remember that your first aim should be to lose adipose weight (i.e. fat) and for this reason, incorporating physical activity into your weight loss programme is an absolute must. Here’s why and how healthy weight loss should be created! How much weight can we realistically lose per week? The majority of us should target a slow and gradual weight loss. A realistic goal is a loss of 1 to 3 pounds of fat per week. Several factors can influence the rate of weight loss: age, body composition, heredity, level of physical activity, fitness, current weight, diet history, etc. 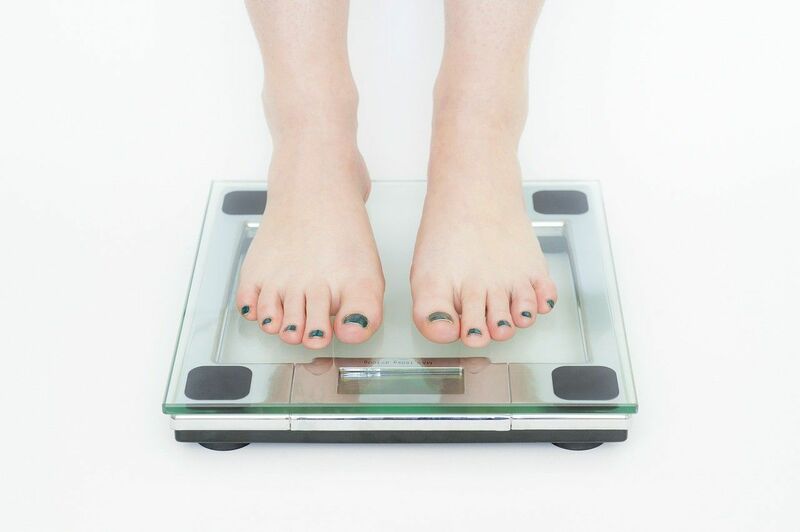 So if you want to begin a weight loss programme and not to be disappointed when you evaluate your progress on your bathroom scales, I urge you to fully understand the efforts that must be invested to get there. How can you lose one pound in a week? First of all, you should know that one pound of fat equals 3,500 kcal. So to lose a pound in a week, you need to burn 250 kcal every day through exercise AND reduce your daily calorie intake by 250 kcal. 7 X 500KCAL less/day = 3500 KCAL = 1 pound lost, in 1 week! By keeping your expectations modest, you are less likely to be disappointed and therefore more likely to persevere. An emphasis on this option, which pairs physical exercise with a slight reduction in calorie intake lets you avoid overly harsh dietary restrictions that can quickly become frustrating in addition to making hunger a constant concern, besides reducing your daily metabolic expenditure. How can you lose ten pounds in 4 weeks? Did you know that it is possible to lose 10 pounds healthily in 4 weeks? The 10/4 Nautilus Plus programme is not only one of the shortest on offer, but also one of the most intense! 6 to 7 training sessions per week are required. It is ideal for kickstarting a weight loss process or for losing your last 10 pounds! Regardless of the pace of weight loss you choose, it is essential to develop healthy eating habits and to combine them with regular physical activity. In fact, it is through regular exercise that you will maintain your muscle mass, which is essential for helping you expend even more calories every day. I am 73 yrs old & would love to loose weight. I have changed my eating habits dramatically by that I mean , no more junk food, Eating alot of fresh veggies . As for exercise I am limited because I have osteoarthritis & would like to know what I could do for exercises . Could you help me.? Firstly, congratulations for taking care of your health. The best would for you to consult a professional so that he can prescribe exercises tailored to your condition. A kinesiologist could assess your physical condition and prescribe the appropriate exercises. Do not hesitate to contact the Nautilus Plus club nearest you if you want to make an appointment. Certainly, the integration of appropriate exercises can only improve your quality of life! Have a nice day! The most common reason that people cite for dieting today is weight loss. Three examples we’ve looked at of clinical excess loss programs include: very low -calorie diets, weight harm drugs and process. eating nutritious food, to help them increase their energy levels.